JeepForum.com > General > General Discussion > Lockers, Lights, Recovery Gears Kits, OH MY!! Lockers, Lights, Recovery Gears Kits, OH MY!! Lockers, Lights, Recovery Gear Kits, OH MY!!! 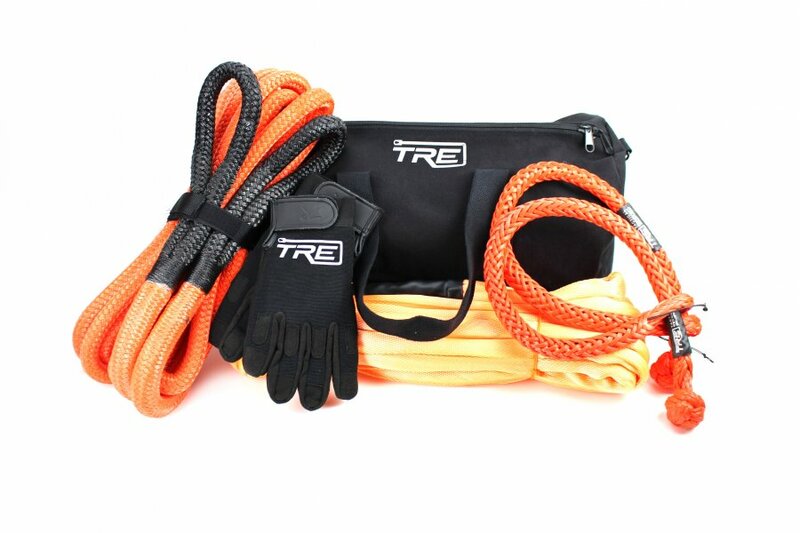 We all have our priorities when it comes to upgrades and purchasing items for our jeeps, but is a recovery gear kit included in that priority list? If not you may want to change your mind! As many off road enthusiast think, "I have lockers, I won't get stuck" you might be correct, BUT what about your friend who doesn't? and he/she doesnt have a recovery gear kit, or a winch either? and as we know we never leave a fellow jeeper behind! Check out Tactical Recovery Gear Kit for Jeeps!!! Strong – Made with heavy-duty SK75 Synthetic Rope fibers with a breaking strength of 30,000 lbs. Stronger than steel cable in the same size. Breaking Strength between 18,000 - 32,000 lbs. Breaking strengths of 23,000 lbs.